On Thursday, 7 April, community members from Fuleni, Somkhele and Xolobeni joined with other activists in front of the DMR offices in Anton Lembede Street, Durban to protest against mining in their ancestral lands. 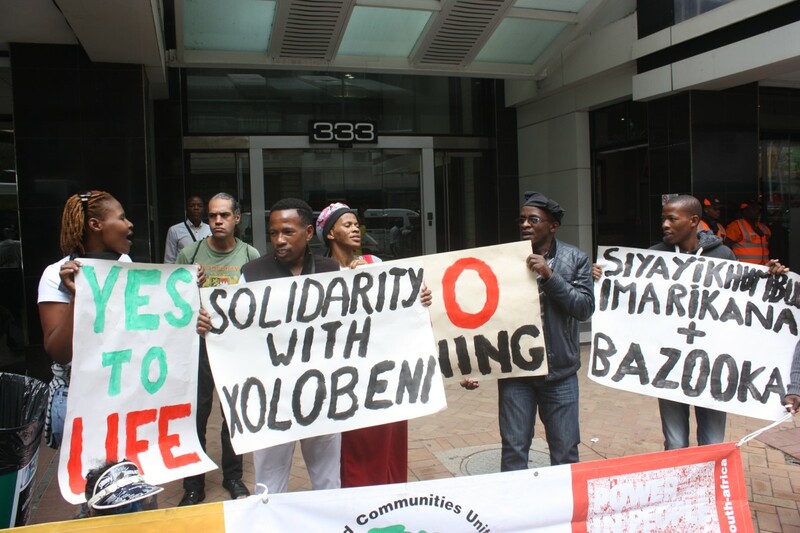 The community activists demonstrated in solidarity with Xolobeni after the tragic assassination of Sikhosiphi Bazooka Radebe. The message conveyed by the activists was an emphatic “NO” to mining in community lands. A memorandum (see below) was handed to the DMR officials. The demonstration and subsequent press conference was filmed by the SABC.